We are one of the most experienced providers of outdoor education in the UK. Founded over 35 years ago, we run over 1.2 million activity sessions each year. We now welcome over 165,000 young people from more than 35 countries around the world annually. By taking pupils out of a formal classroom environment and into fun and exhilarating experiences focused on challenge and adventure, we encourage whole classes to bond and be captivated, the shyest to shine as leaders and the unmotivated to become the most enthusiastic about developing a new skill. Using the outdoors and a selection of adventurous, challenging and high-adrenaline activities, we support young people throughout their learning journey. We work in partnership with teachers to tailor an outdoor education and adventure programme, with action-packed day time activities and an array of exciting evening sessions. Our range of life skills and specific curriculum linked programmes are combined with learning objectives to create a truly unique learning opportunity for secondary schools. We welcome a variety of non-school groups all year round, for day visits, great value weekend breaks and longer adventures. All young groups are welcome to enjoy an adventure. Each year we welcome around 15,000 young people from to our centres to complete the residential element of their NCS programme. We are an award-winning apprenticeship provider and we have recently designed a new apprentice development programme, providing the skills for apprenticeship success. With nine inspiring centres across the UK, plus a Château in France, we provide unbeatable learning experiences outside the classroom. Some of our locations have a friendly campus feel, with spacious buildings sprawling a large area, while others are smaller with all facilities close by, ideal for younger groups. 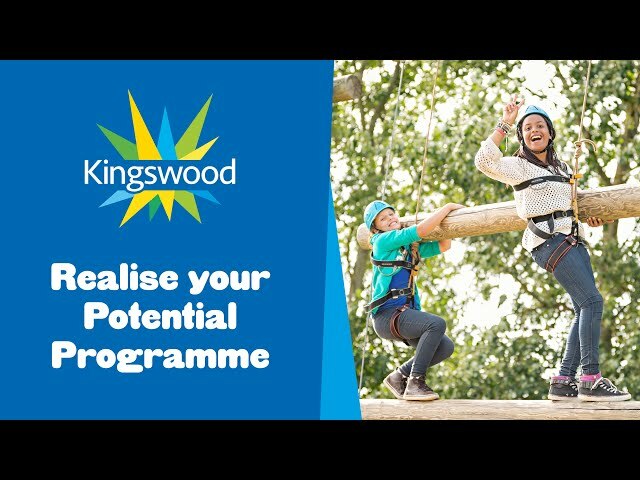 From Areas of Outstanding Natural Beauty, to nearby Sites of Special Scientific Interest, an array of learning environments are available at Kingswood. Every Kingswood visit is unique. But one thing is for sure: fun, excitement and an exhilarating activity packed programmes come as standard. On top of that, we’ll work with you to tailor your adventure and design your personalised programme around your objectives and desired learning outcomes. We strive to make our experiences as impactful as possible and continually improve every aspect of our adventures and add new activity sessions. We are always looking for new ways to develop and are supported by an advisory group including experts from the Council for Learning Outside the Classroom and Learning Away amongst others. We have linked what we do to a simple model that communicates how we work – we call it ‘inspiring learning outcomes’. Using this model we can provide a framework to help teachers and students make the most of their experience.